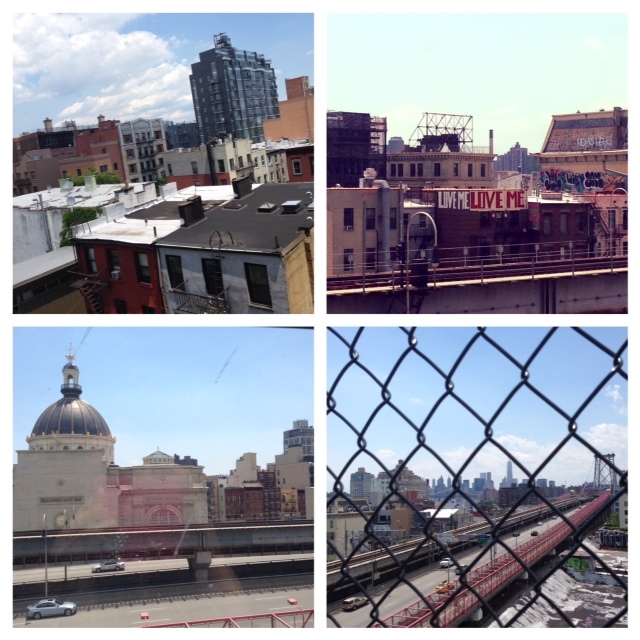 I don’t go to Brooklyn often, but I visited my friend in Williamsburg, Brooklyn the other weekend and I thoroughly enjoyed the experience. Loved all the cute shops, great restaurants, cool graffiti. Plus, it’s very close to Manhattan, which is a big bonus. 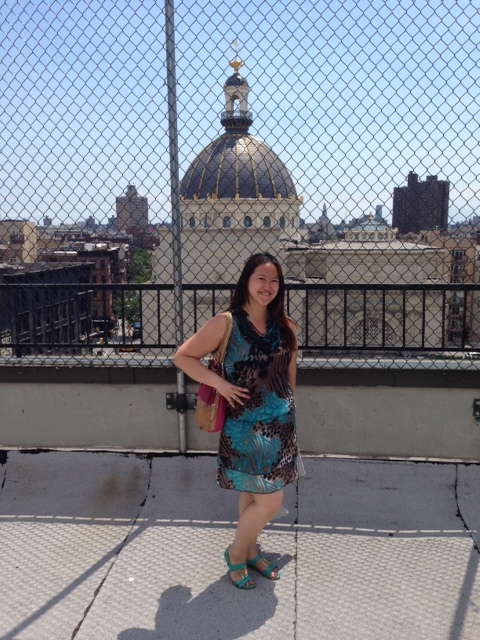 I got to check out my friend’s new loft and rooftop. There were a lot of beautiful sights on that rooftop. 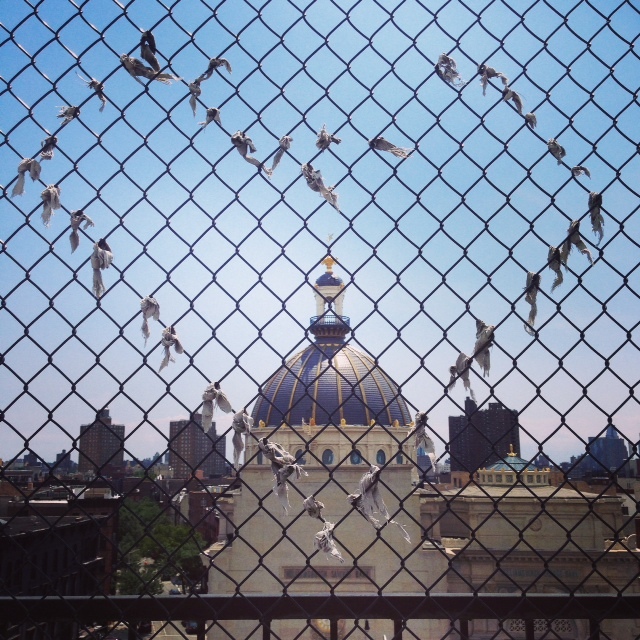 This heart shape in the chain link fence, right in front of the gorgeous domed Williamsburg Savings Bank is one of those sights. For lunch, we headed to an Indian restaurant called Mahal Kita. 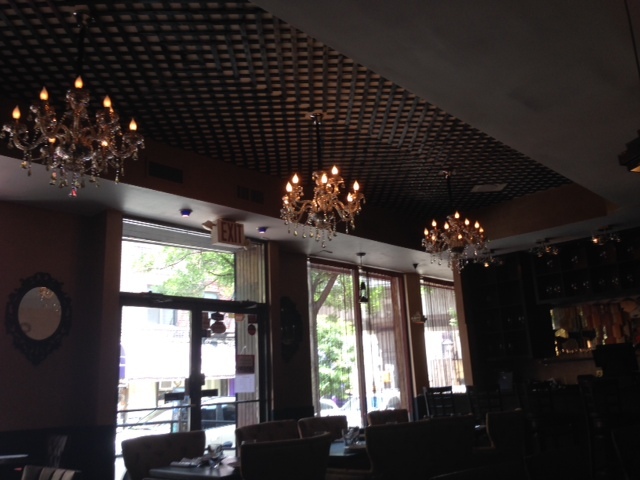 The interior was spacious and elegant, with chandeliers and brown/tan color scheme. 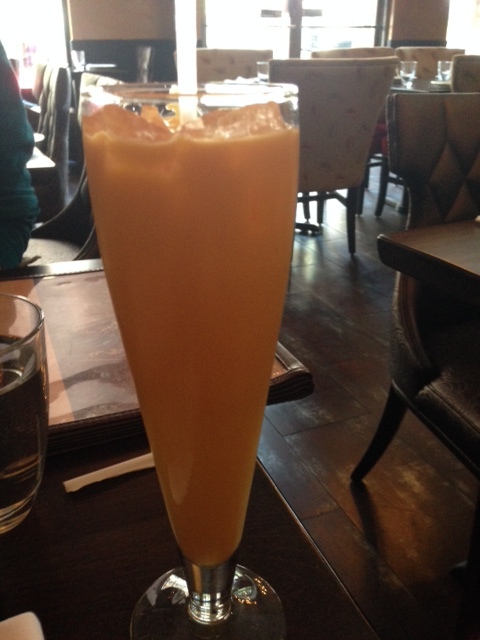 As per usual at any Indian restaurant, I ordered a Mango Lassi drink. Since my friend frequents the restaurant, we got our drinks for free which was an unexpected and gracious gesture. The Mango Lassi was tasty, refreshing and not too sweet. 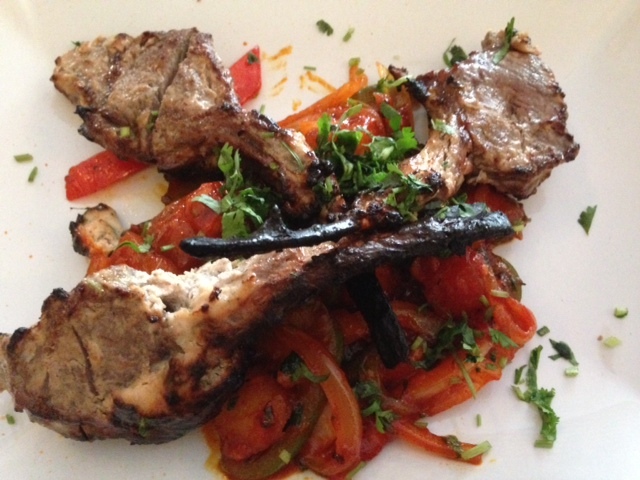 I chose the marinated rack of lamb with potatoes and peppers for my main course, which was delicious. The lamb was juicy, succulent, full of flavor in a delectable sauce and was slightly charred which is the way I like my meat. The medley of vegetables in an orange sauce was quite wonderful and paired with the lamb well, giving it an extra layer of flavor. 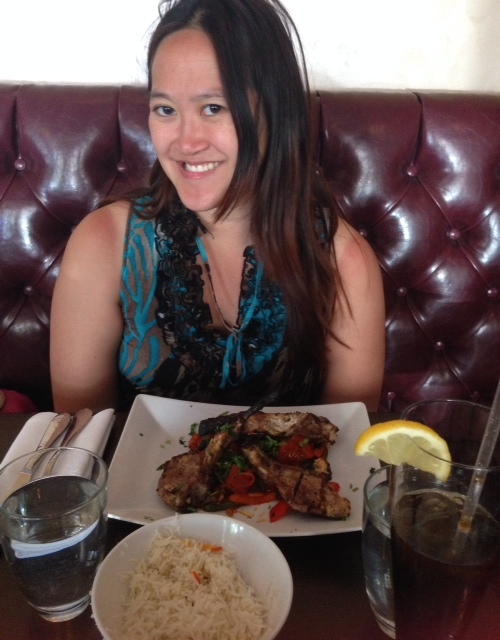 The meal at Mahal Kita was wonderful, the service attentive and they had a 20% off dine in special! After our meal, we stopped into Pies n Thighs, the restaurant well known for its Southern cuisine which usually has an hour long wait to be seated… Luckily, they have desserts that can be purchased to go, so I got myself some apple pie (which I ate later). 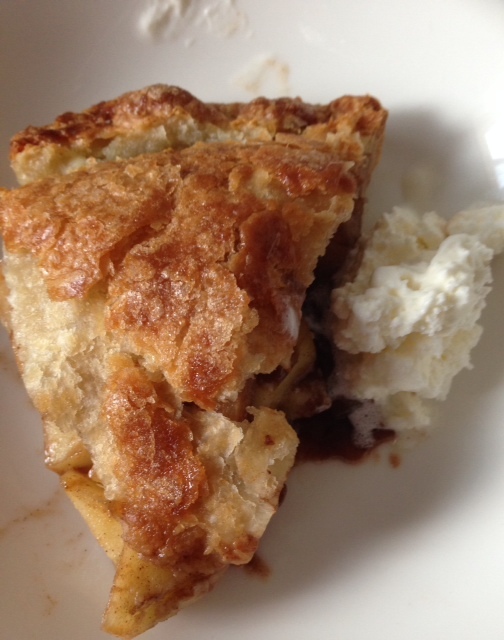 It was flaky tasty cinnamon spiced apple pie with a rich all butter crust… That crust was amazing. 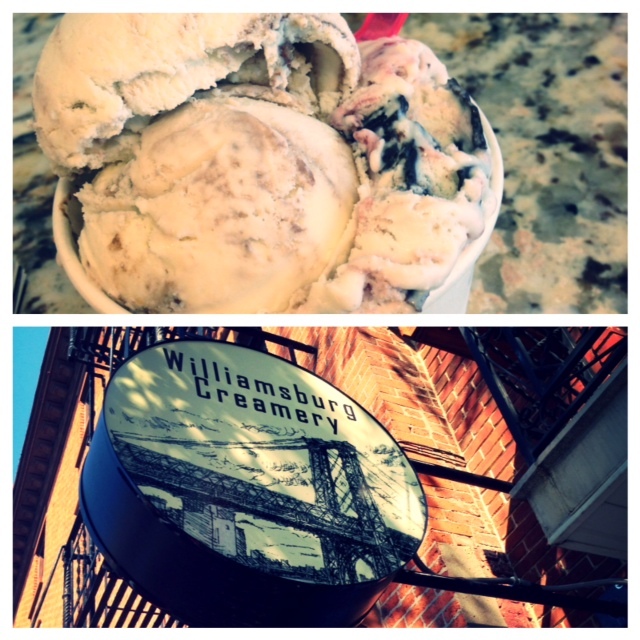 Then on my way back to the L train, I had to stop at Williamsburg Creamery, known for its homemade ice cream. I selected the White Raspberry with chocolate chunks and it was delectable and oh so mouthwatering and sweet! I also had the Vanilla ice cream with fudge and peanut butter, which I expected to like a lot more. It was actually too plain for me- The vanilla didn’t have enough of the fudge and peanut butter mixed in.